Clarks Crown Bloom T is a girls sandal. 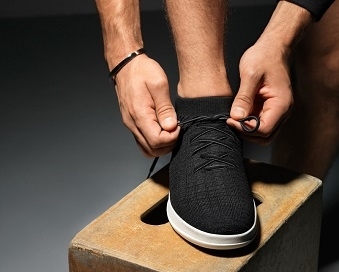 It features a synthetic upper with suede linings and sock for added comfort. 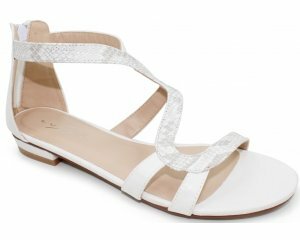 The double buckle fastening, one as a heel piece that comes around the foot, and another towards the front of the sandal, provides adjustability and a secure fit. 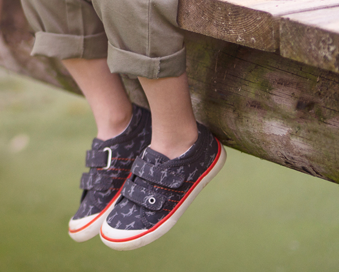 An EVA sole adds flexibility to every step, making it a great sandal for those long Summer days. Step in to comfort with Clarks Crown Bloom T!